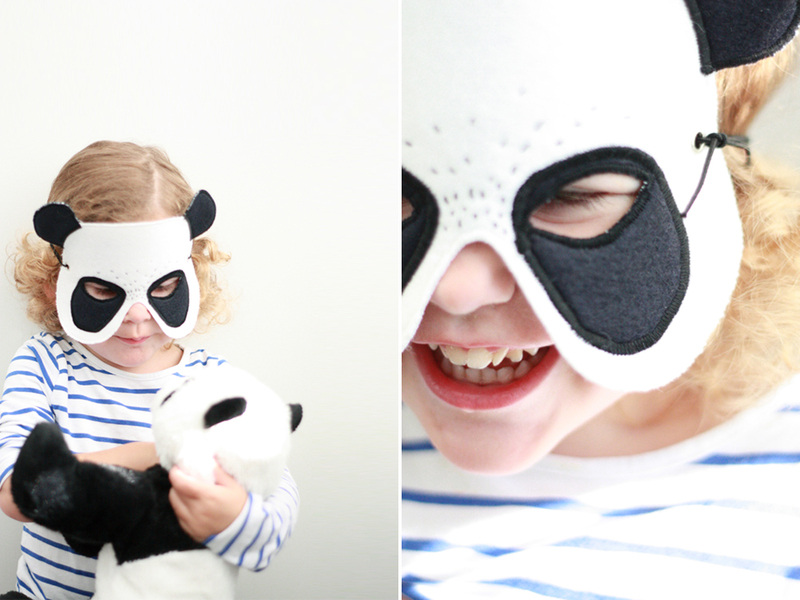 My almost 3 year old is totally in love with panda bears and playing in character at the moment. 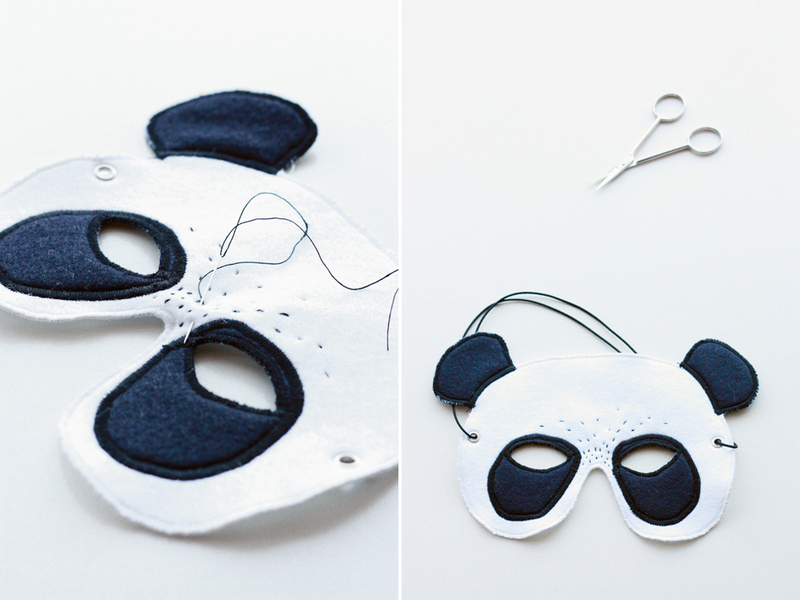 So I decided to make a panda bear mask for her. Because I wanted the mask to be strong enough to survive for some time, I backed the felt with some iron-on interfacing. Put the pattern on top of the interfacing and trace it. 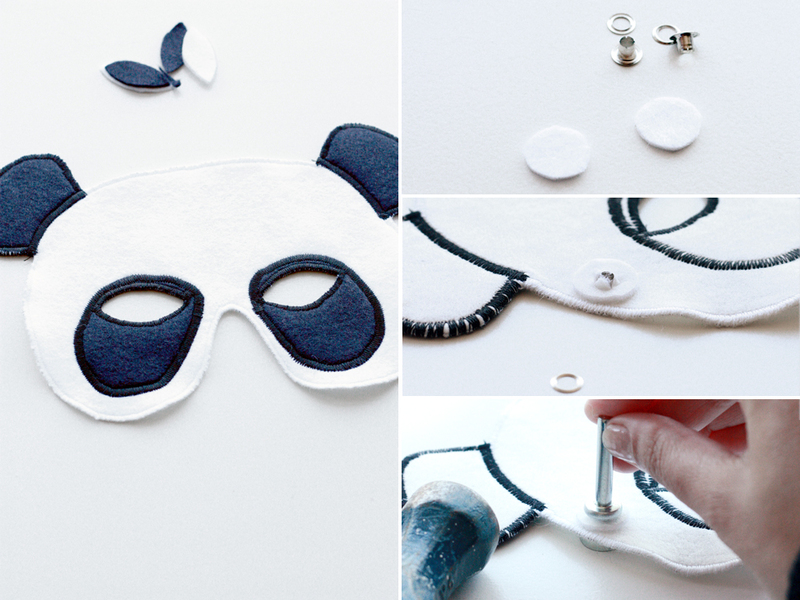 Cut out the mask. 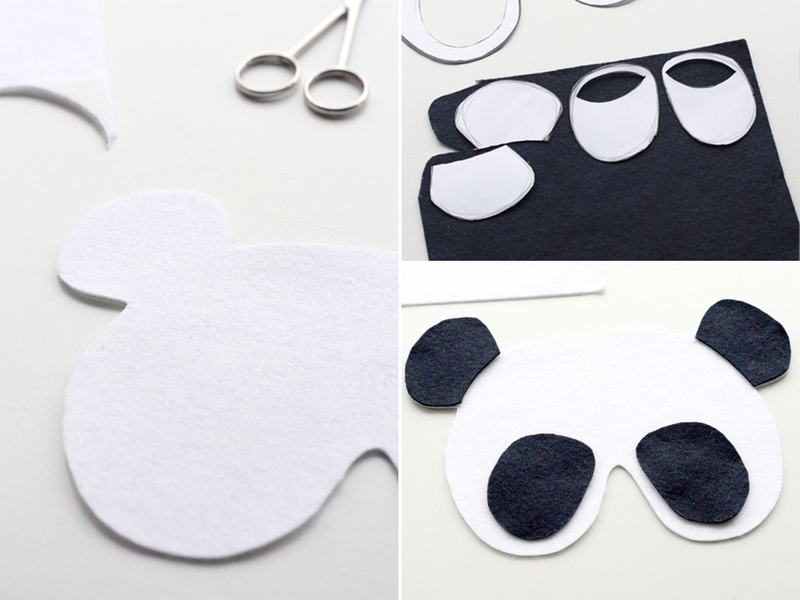 Now I cut the pattern in pieces, so I can trace and cut out the black bits of the panda bear mask. 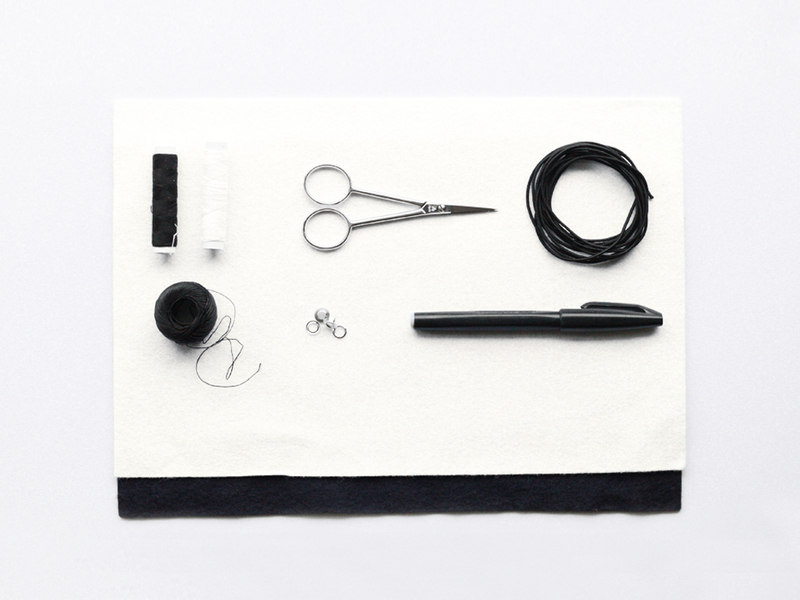 Use the zig zag stitch to hem the edges. Leave the ears open, because they are going to be black. I used yarn in matching colors of the felt. Pin the black pieces in place and use zig zag again to secure. Turn the mask. The eye holes should be in the middle of the seams, not touching one of the edges. 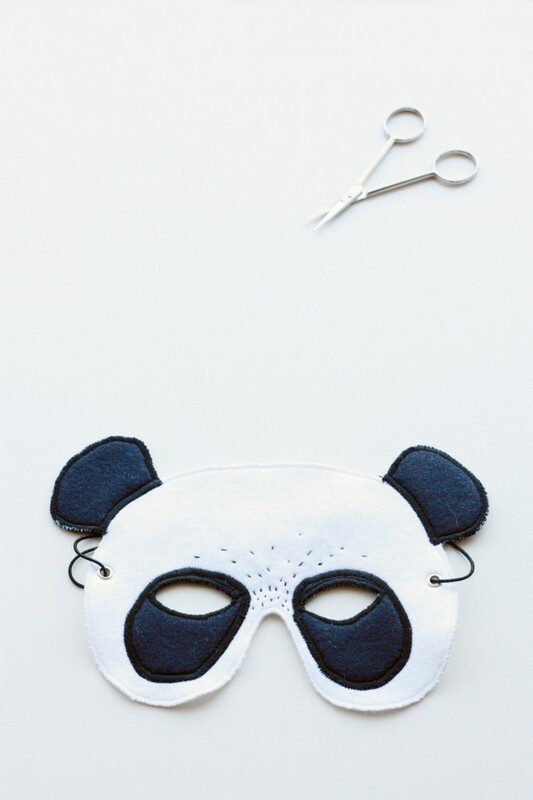 Cut out the eye holes and zig zag the edges with black yarn. 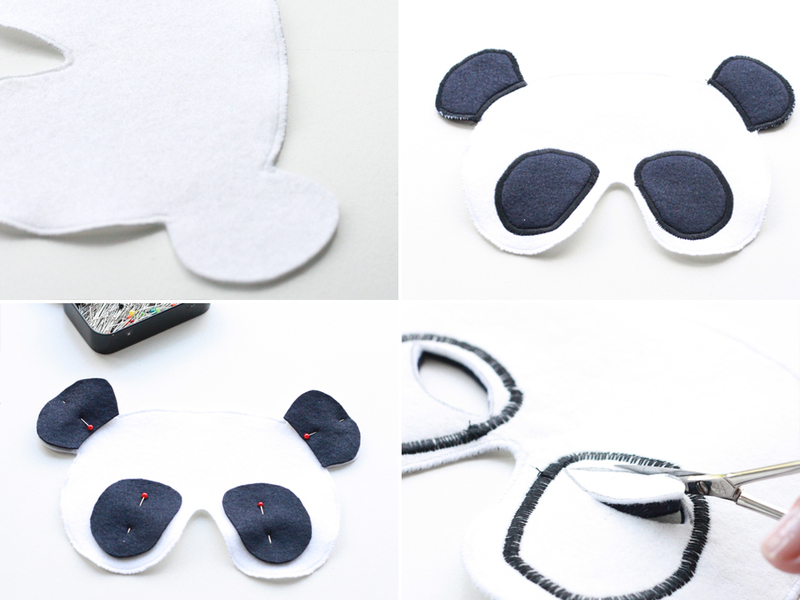 Take a scrap piece of felt with interlacing and cut out two circles, a bit bigger than the eyelets. 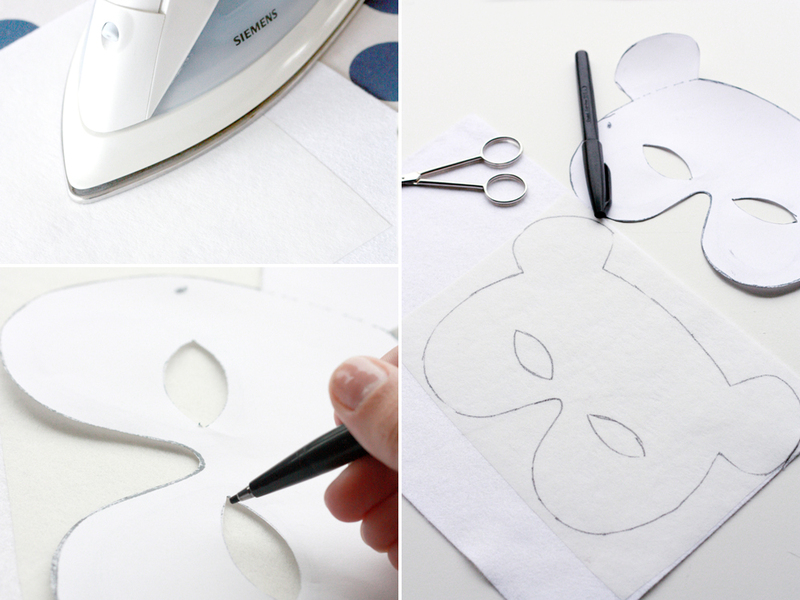 Cut a cross on both sides of the mask and in the middle of the circles. Be carful, it can easily get too big. 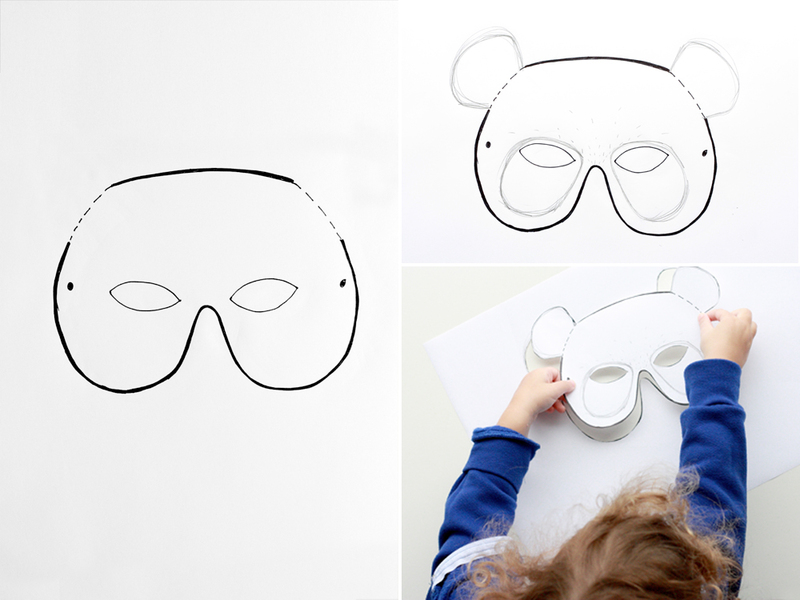 Insert the eyelet through the mask and one of the circles; the nice rounded edge of the eyelet is on the front of the mask. Set it with a hammer (and a finishing tool). Set the other eyelet on the other side. To give the mask a hand sewn finish I added some decorative embroidery.